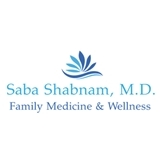 Saba Shabnam, MD Family Medicine & Wellness (Grapevine) - Book Appointment Online! We are a Dallas – Fort Worth-based physician-owned and operated medical practice providing high quality services in Family Medicine. When you visit our Clinic in Grapevine, our physicians will provide your family with the latest healthcare in all major areas of medicine from teen through adulthood. Our qualified staff of doctor and medical staff is dedicated to creating lifelong relationships with you and your family by offering contemporary medicine when you need it and at your convenience. As your primary care physician, our doctors will strive to know you and understand your family's health history to ensure each family member receives the best medical care possible. We take care of you and your family at every life stage. Now, with the installation of the latest medical technologies and medical record keeping, you can expect improved communications and efficient medical care. Staff is friendly and helpful. Dr. Saba is kind and listens plus asks questions related to the patient and suggests new treatments. A definite surprise!